Obituary for Marlin E. Rose Jr.
Linda Michaelson, 72, passed away on Saturday, Aug. 11, 2018 after a hard-fought battle with lymphoma. Linda passed away at home surrounded by family, greeting visitors with a million-watt smile until the very end. 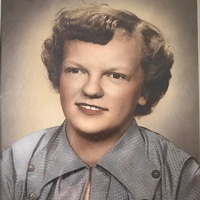 Aug. 15, 2018 MINKOFF, Gordon, 84, of Astoria, died in Longview, Washington. Ocean View Funeral & Cremation Service of Astoria is in charge of the arrangements. THURSDAY, AUG. 16 CORONA, ABEL — Funeral mass at 10 a.m. at St. Mary’s Catholic Church, 800 S.E. Court Ave., Pendleton, with burial to follow at Olney Cemetery, Pendleton. FRIDAY, AUG. 17 BECKER, JAMES — Funeral services at 11 a.m.
Viola Mae Shanahan- 97, of Myrtle Point, died Aug. 8, 2018 in Myrtle Point. Arrangements are pending with Amling/Schroeder Funeral Service – Myrtle Point Chapel, 541-572-2524.